The 2018 Rosé is 100% Los Angeles Grenache, fermented and aged for 7 months in temperature controlled steel. Crisp and refreshing, it's pure summertime in a bottle. 71 cases produced. The 2017 Tremor is our second vintage of this incredibly complex and layered cuvée from three different Los Angeles vineyards. 65% Grenache, 30% Merlot, and 5% Syrah, aged 18 months in French oak. 110 cases produced. The 2017 Undertake is our first Zinfandel blend. A true classic of California's robust, fruit-driven style, Undertake is a blend of 60% Zinfandel, 25% Petite Sirah, 10% Merlot, and 5% Syrah. This beautiful blend has great depth and subtleties that find their way through the red fruit core. 80 cases produced. The 2016 Evenfall is a massive, rich, layered and complex wine that is dark and brooding, yet perfectly balanced and elegant. Tempranillo, Petite Sirah, and Merlot with extended aging in new French and American oak, make this a real stunner. 72 cases produced. The 2016 Agenda is a blend of Syrah and Tannat. Old world nuance combined with bright fruit, and a healthy dose of luxurious oak, make this a sophisticated take on a French Rhone style wine. 118 cases produced. The 2016 Pragmatic is a single vineyard blend of Malbec, Cabernet Sauvignon and Merlot. With a powerful core of rich, dark fruit reinforced by supple tannins and French oak, this wine is a modern, fruit-driven blend. 83 cases produced. 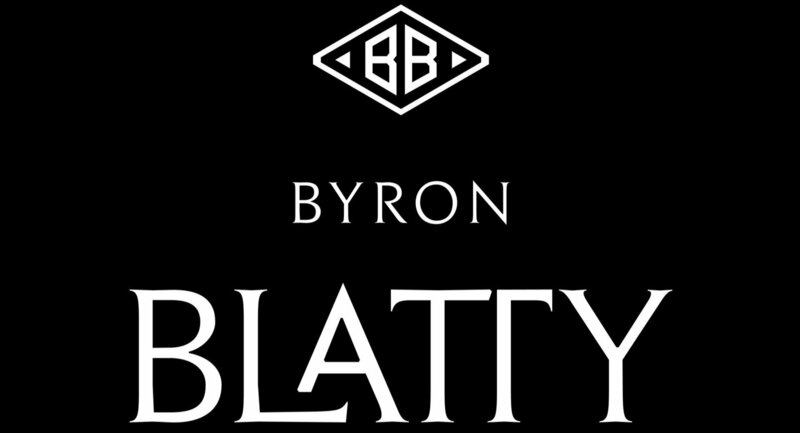 By entering Byron Blatty's Wine Store, you affirm that you are of legal drinking age in the country where this site is accessed. to join our mailing list and receive 20% off.